Basil Hetzel has been interested in the effects of iodine deficiency and their eradication since 1964. Iodine deficiency can lead to goitre and if more severe, to retarded growth and development, particularly brain development. During the period 1964-72, before he joined CSIRO, his group developed (with the PNG Health Department) the use of iodized oil injections for the correction of severe iodine deficiency and first showed that the effects on the brain could be prevented by correction before pregnancy. This method has now been applied on a massive scale in Asia, Africa and Latin America with over 100 million doses being given. During the period 1975-85, while Chief of CSIRO’s Division of Human Nutrition, Hetzel led a team of scientists that established, for the first time, the effect of iodine deficiency on brain development in animal models including the marmoset and sheep. While at CSIRO he also developed the concept of Iodine Deficiency Disorders (IDD) that went beyond that of goitre and cretinism and included all of the effects of iodine deficiency on growth and brain development in humans, which could all be prevented by iodine supplementation. This concept was rapidly accepted internationally. Subsequently in a report to the UN Nutrition Committee in 1984 he proposed the establishment of the International Council for Control of Iodine Deficiency Disorders (ICCIDD). In 1986 he, as a CSIRO Post-Retirement Fellow, established ICCIDD with the help of international colleagues and was its first Executive Director. 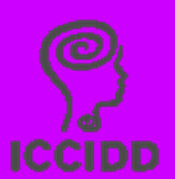 ICCIDD now consists of a multidisciplinary international expert network of 700 specialists from 100 countries who are committed to assisting national governments and international agencies in the development of national programs for the elimination of IDD as a public health problem. The Papua New Guinea Public Health Department had documented large and frequent goitres in people living in the Highland Villages. The injection of iodized oil, a well known radiological contrast medium, had been used to control the problem but no laboratory had been available to carry out determinations of urine iodine to assess the effect of such treatments. Such capabilities were available in Basil Hetzel’s laboratory in the Department of Medicine, University of Adelaide at The Queen Elizabeth Hospital. In collaboration with the PNG Public Health Department his group established that there was severe iodine deficiency in the PNG Highlands and that this deficiency could be corrected for up to 5 years with a single injection of iodized oil. Apart from goitres there were many severely brain damaged individuals who were also deaf mute and often had a squint and spastic weakness of the limbs. These were the cretins reported from similar remote mountainous situations in Europe; South America (Andes); India (the Sub Himalayan Region) and China. There was considerable dispute at the time as to whether or not this condition was related to iodine deficiency since it had spontaneously disappeared in various parts of Central and Southern Europe without any known correction of the iodine deficiency. Given the success of iodized oil injections in controlling goitre, Basil Hetzel initiated a similar trial to see whether correction of severe iodine deficiency would prevent the cretinism. After approval by the PNG Research Advisory Committee the trial was set up in the Western Highlands north of Mount Hagen in collaboration with the Public Health Department at the time of the first census in 1966. Particular attention was paid to the motor milestones, age of sitting up, walking, with evidence of deafness reported by the mother and confirmed by a simple tuning fork test. The double trial was undertaken with great skill and dedication by Dr Peter Pharoah, an experienced PNG medical officer who was seconded for this work by the Public Health Department at Hetzel’s request. After more than three years of careful and laborious work involving Peter Pharoah’s extensive climbing to reach the mountain villages the code was broken. The trial was an overwhelming success – mental retardation (evident in 26 cases in the control group) had been prevented by injection of the iodized oil before pregnancy. After completion of the study injections of iodized oil were then given to 120 000 people in the PNG Highlands followed by an iodized salt program. The report of this work to the International Thyroid Congress in Vienna in 1970 made great impact. A subsequent report written by Pharoah, Buttfield and Hetzel was published in The Lancet (1971, 1: 308-310) and was duly accepted as definitive in a Lancet editorial published in 1972 (2: 1275-1280). The spontaneous decline in Europe has since been attributed to diversification of the diet associated with economic and social development and the use of iodine supplements. These findings clearly demonstrated, for the first time, the aetiology of the cretinism as fetal iodine deficiency in the first half of pregnancy. The trial also showed the effectiveness of prevention by correction of the deficiency before pregnancy. In 1975 Hetzel joined the CSIRO as Chief of the newly created Division of Human Nutrition. He was interested in the possibility of developing an animal model to confirm the effect of iodine deficiency on foetal brain development. This was duly done (for the first time) both in the sheep and the marmoset monkey (primate model) over the period 1976-85 by an excellent CSIRO team with past experience of trace element deficiencies in sheep. These animal studies indicated that the simple concept of iodine deficiency as ‘goitre’ was outmoded. Iodine deficiency also had significant effects on growth and development including reduced brain size and retarded mental development. The effects on the brain were part of a spectrum of effects including abortion and stillbirths as well as goitre and growth retardation of the foetus due to reduced thyroid gland function in both mother and foetus. These important findings were reported in a series of 18 papers published between 1979 and 1987. My Chinese colleague pointed out that Confucius would have approved the term as it referred to the primary cause and would therefore lead to appropriate measures for control! The announcement by the World Health Organization (WHO) of the global eradication of smallpox in 1980 had encouraged Hetzel to point out in his 1983 Lancet paper (above) the possibility of the eradication of iodine deficiency disorders with available technology using iodized salt or iodized oil. In Indonesia (1976-81) and China (1981-84) he had seen the massive nature of the problem with the large populations at risk – subsequently estimated by the WHO to be in excess of two billion at risk in 130 countries. WHO has recognised iodine deficiency as the most common preventable cause of brain damage. Effective preventive measures were suitable for mass application (iodized salt or iodized oil). In addition there were available methods for epidemiological monitoring and surveillance of the program (salt iodine and urine iodine measurements) so that it could be shown whether the program was effective. In 1984, Hetzel was asked to make a Report to the United Nations Nutrition Committee, in which he noted the great delay in the application of existing knowledge on IDD and its prevention, to the detriment of the many millions in developing countries who were suffering irreversible damage to brain development. To help bridge this gap, he proposed that an expert consultative group of scientists and other public health professionals be established to assist in the development of IDD control programs at the National level in collaboration with WHO and UNICEF. The decision to establish such a group, the International Council for Control of Iodine Deficiency Disorders (ICCIDD), was made in Delhi in March 1985, when Basil Hetzel put the proposal to a group of ten consultants and advisers who were attending a WHO/UNICEF inter-country workshop on the control of IDD in South East Asia. This was followed by the inaugural meeting (supported by WHO and UNICEF) in Kathmandu, Nepal, in 1986. A logo was adopted which emphasised the importance of the brain. In recognition of his knowledge and outstanding contributions to the field Basil Hetzel was ICCIDD’s Executive Director (1985-1995), then Chairman (1995-2001) and subsequently Chairman Emeritus. The ICCIDD now consists of a multidisciplinary international expert network of 700 endocrinologists, epidemiologists, nutritionists, public health administrators, technologists, communicators, economists and other experts from 100 countries, with a majority from developing countries, who are committed to assisting national governments and international agencies in the development of national programs for the elimination of IDD as a public health problem. Over the period 1986-2000 the ICCIDD held a series of Regional Meetings with WHO and UNICEF throughout the world designed to foster the development of these National Control Programs. These meetings have been attended by Ministry of Health and other representatives from countries of the Region. A Report to the World Health Assembly in 1999 indicated that of the 130 countries that had a significant IDD public health problem; two thirds had National Salt Iodization programs in place. There was coverage of 68% of households at risk, which compared with less than 20% before 1990. This was remarkable progress which was accepted with great applause at the World Health Assembly in 1999, an annual meeting of all nations who are UN members. However, there is a need to ensure the sustainability of this achievement – this depends on epidemiological surveillance with urine iodine measurements to establish the absence of iodine deficiency. Sustainable elimination of IDD is only possible if this continues – recurrence can and has readily occurred. At the 2005 World Health Assembly (WHA) a Resolution proposed by Canada and Australia was adopted requiring countries to report the monitoring of their programs for the elimination of iodine deficiency to the WHA in 2007 and every three years thereafter. This Resolution provides the necessary political support for future sustainability of the programs. As Basil Hetzel states: I believe this NGO model is relevant to many other such international health problems. A multidisciplinary group of concerned scientists and public health professionals can come together to define a problem and then develop a program designed to solve the problem, in collaboration with the UN Agencies – in the case of IDD it has been WHO & UNICEF. His book The story of iodine deficiency: a challenge in international nutrition, published in 1989 by Oxford University Press, has been translated into French, Spanish, Chinese, Japanese and Russian. Basil Hetzel was awarded a Companion of the Order of Australia (AC) in 1990 and was named one of the National Trust’s Living Treasures in 2004. He was appointed Lieutenant Governor of South Australia by Queen Elizabeth II and served from 1992-2000. He was Chancellor of the University of South Australia from 1992-1998 and in 2005 had the honour of having the University’s Health Sciences Building named after him.